Okinawa traditional entertainment is in the transition season between Eisa dance, dragon boat races and the ever popular tug-of-war events, with music and dance turning to stage performances. When you watch traditional Okinawan entertainment and dance, the female performers invariably have two items as a part of their attire. As photographs are taken, it’s helpful to appreciate exactly what they mean. “Hanagasa” is one of the best known symbols of Okinawa and a very popular stage prop in Okinawan traditional dance. It is the flower shade/hat. Everything in this head gear has a meaning. A red flower representing the flower of Okinawa “The Hibiscus” is a red flower with 5 petals with a long yellow stem sticking out of the middle. A blue wave letting you hear, and imagine the Ocean Sounds of Okinawa. The “Hanagasa” is also a slow traditional dances celebrating and demonstrating hope, and peace to Okinawa. “Tesage” is a red narrow towel. 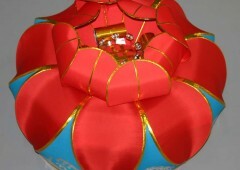 That is made by women, and is a signal of love presented from a woman to a man. 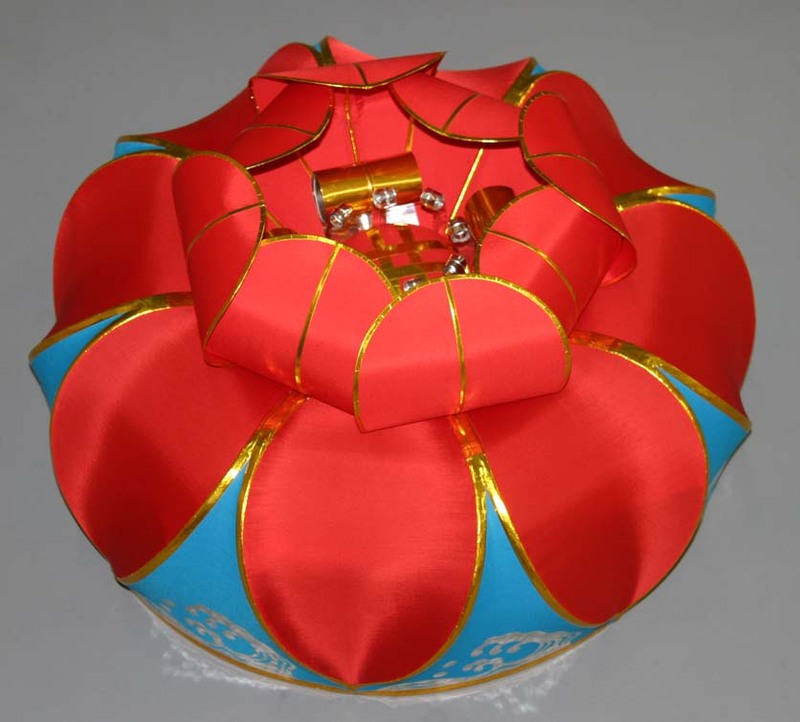 The “Tesage” is a red towel, which a woman presents in a play to show love to a man. 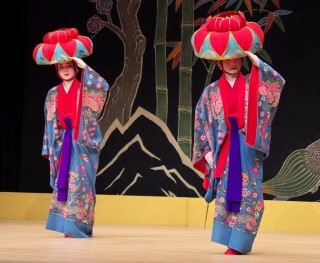 In the play men and women are dressed up in “Kimonos”. 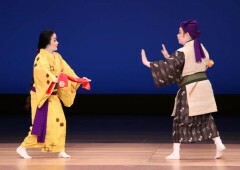 In traditional Okinawan plays the man often first shows that he refuses to take the “Tesage”. Over the time the man will come back and take the “Tesage” from the woman to show his love and passion for her. 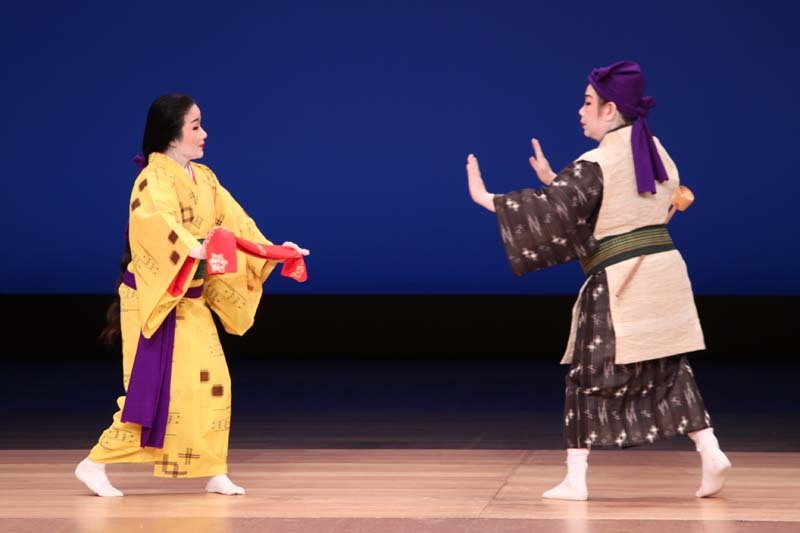 Men and women all over Okinawa come to see the musical act about the Hanagasa, and the Tesage. The plays and dances can be seen in The National Theater Of Okinawa, located in Urasoe near Camp Kinser back gate. Their website, where information is available also in English, is http://www.nt-okinawa.or.jp.